Tina Turner has been a crucial piece of pop culture since the late ‘50s when she began working with Ike Turner. Throughout the ‘60s, she was an electrifying performer, touring around the world and recording hit records. Her career calmed down in the ‘70s but by 1984, when she released the album PRIVATE DANCER, she became the worldwide superstar that she was always meant to be. By the dawn of the millennium, she stepped out of the limelight and has not released a full-fledged Pop or Soul album since 1999’s TWENTY FOUR SEVEN. Initially a Baptist, she was introduced to Buddhism in 1973 and has converted and she now adheres to the teachings and values of the Buddhist association Soka Gakkai International. Residing in Switzerland, Tina may have abandoned commercial Pop music for the most part but that does not mean that she’s given up on music. Turner co-founded the spiritual music project Beyond and has released a series of collaborative albums since 2008 including BEYOND, CHILDREN BEYOND, LOVE WITHIN BEYOND and the 2017 release AWAKENING BEYOND. 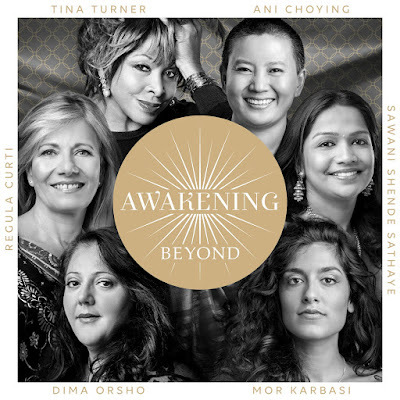 AWAKENING BEYOND features six singers from six different cultures: Regula Curti from Zurich, Switzerland; Ani Choying from Kathmandu, Nepal; Dima Orsho from Damascus, Syria/USA; Sawani Shende Sathaye from Pune, India; and Mor Karbasi, from Jerusalem. 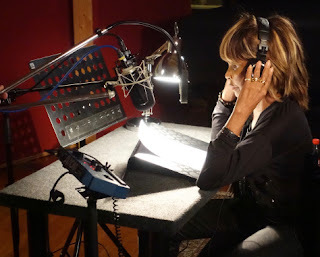 Tina Turner from Switzerland/USA speaks the spiritual and universal message. The original score was written by Syrian-American composer and producer Kareem Roustom and the soundtrack was performed by the world-renown Philharmonia Orchestra London and recorded at historic Abbey Road studio.